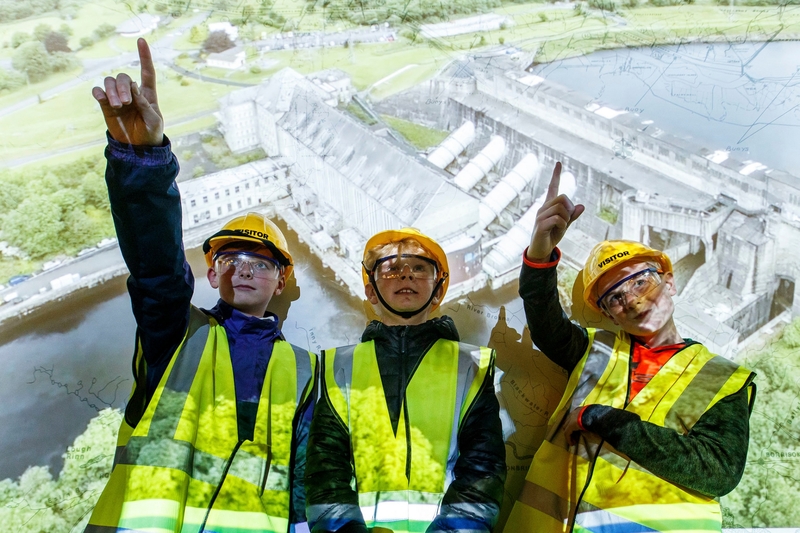 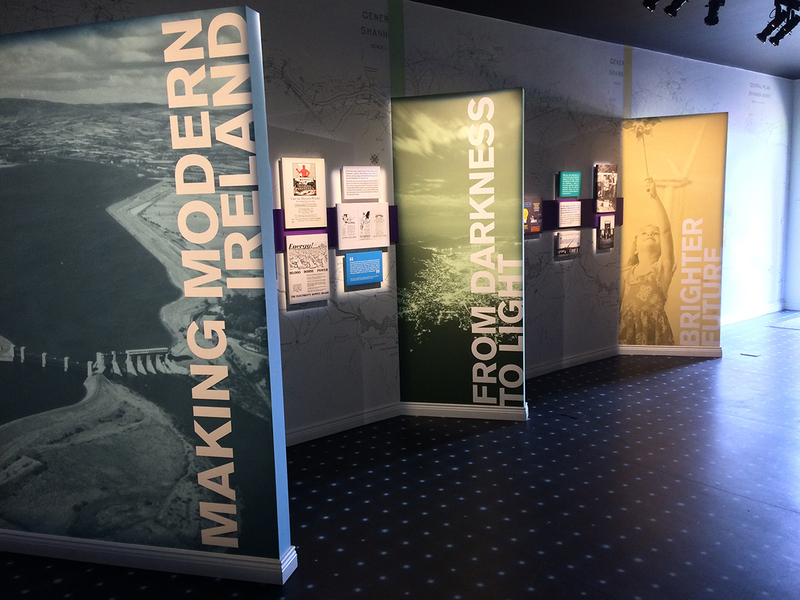 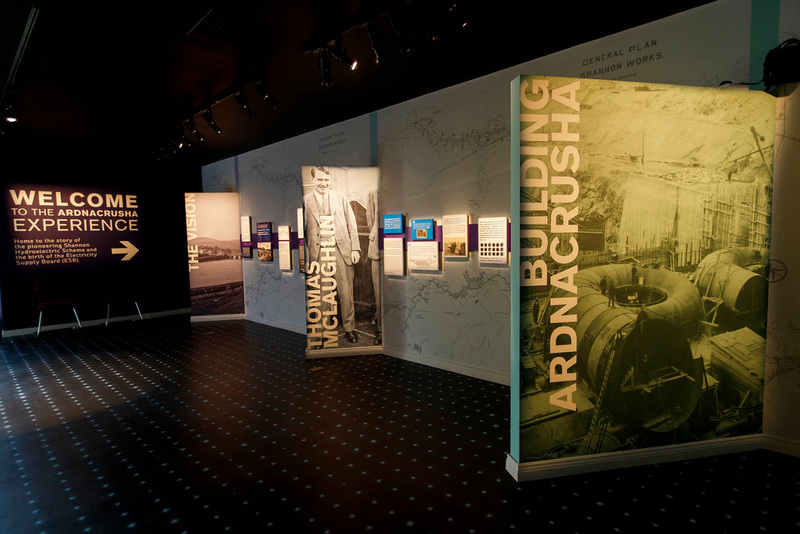 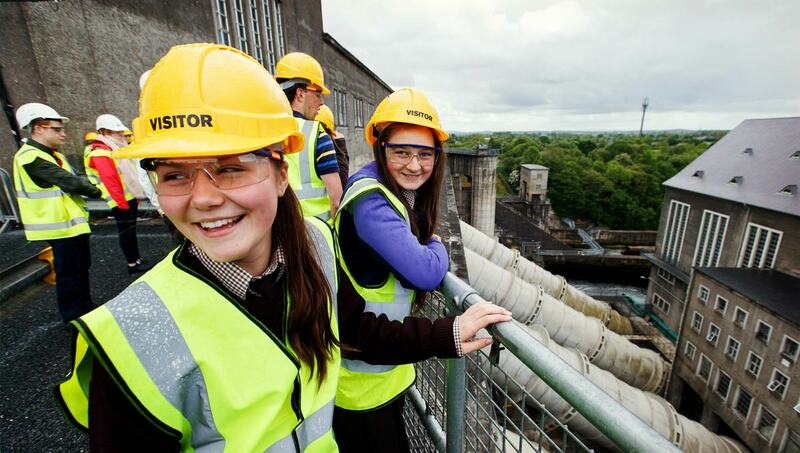 Marcon has completed the interpretive fit-out of the new Ardnacrusha Experience at the newly refurbished visitor centre at Ardnacrusha power plant in Limerick. 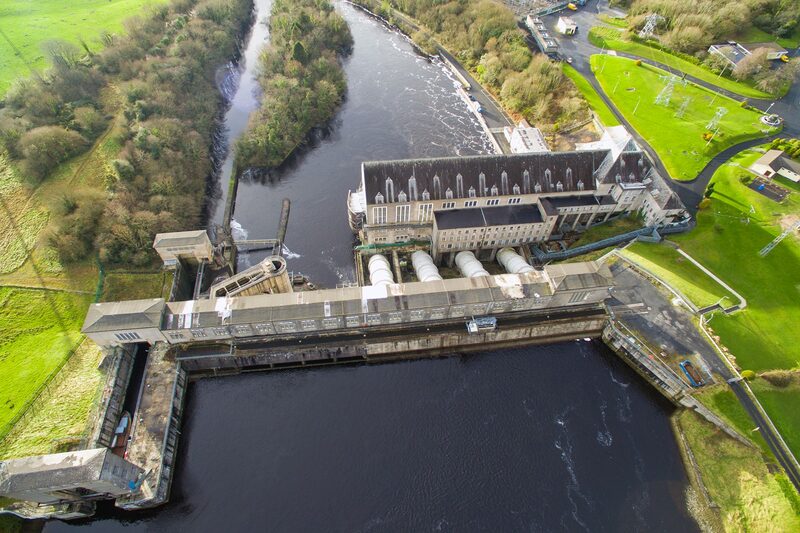 The Shannon hydroelectric station was a major development by the Irish government in the 1920’s to harness the power of the River Shannon. 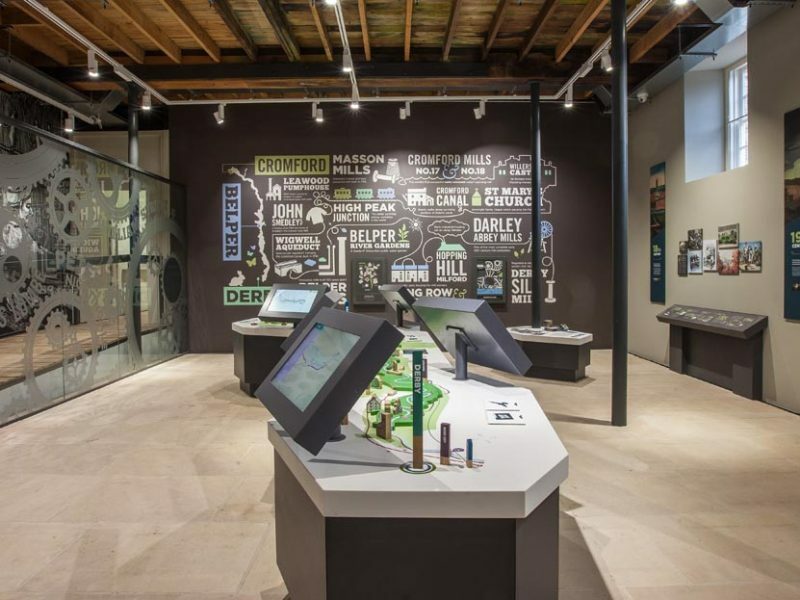 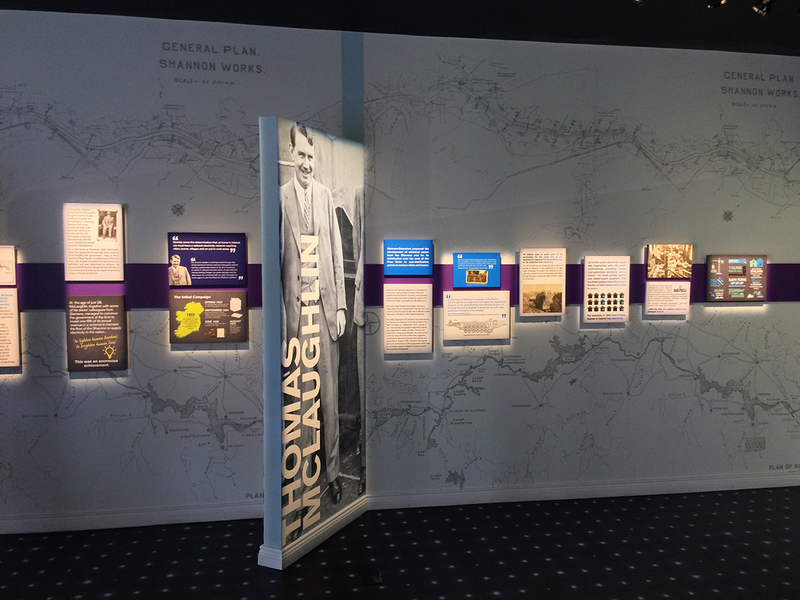 Visitors are welcomed to the new visitor centre before going out on site to view the impressive headrace canal, locks and tailrace. 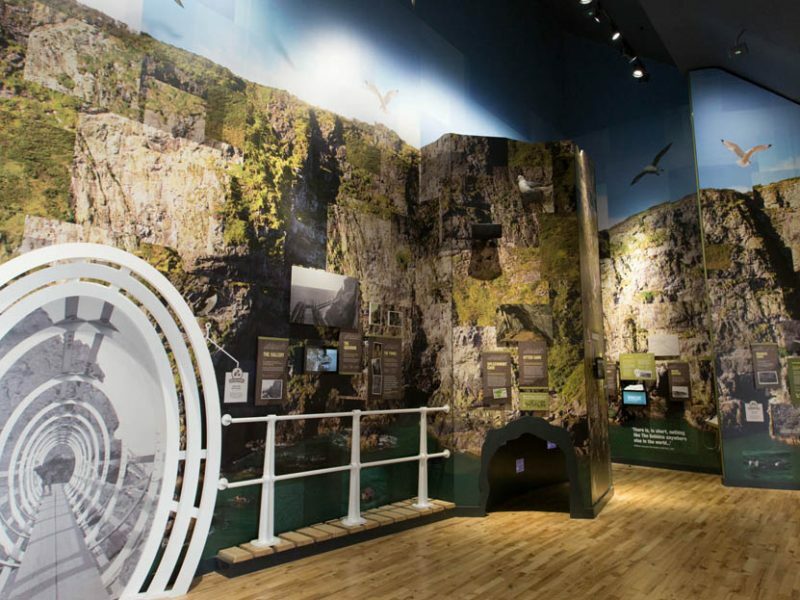 Once inside the station, the living heritage of the Shannon Scheme is brought to life through a series of animations which celebrate the history and impact of this iconic project. 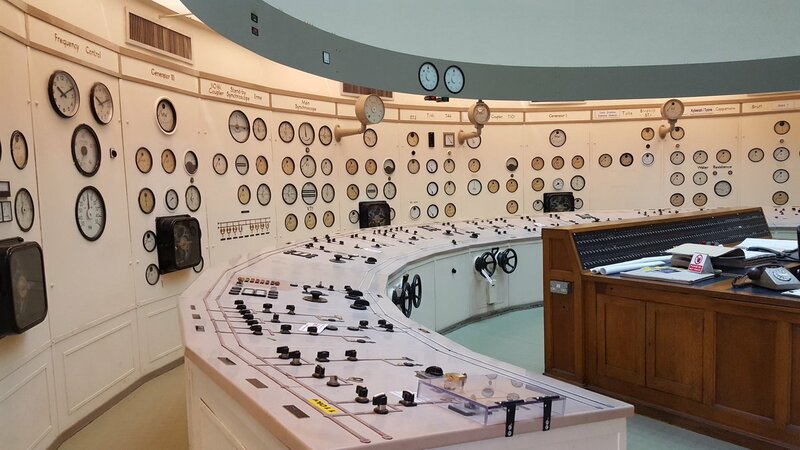 Visitors are given access to the very heart of the station with unique views of the turbine hall and a visit to the original control room. 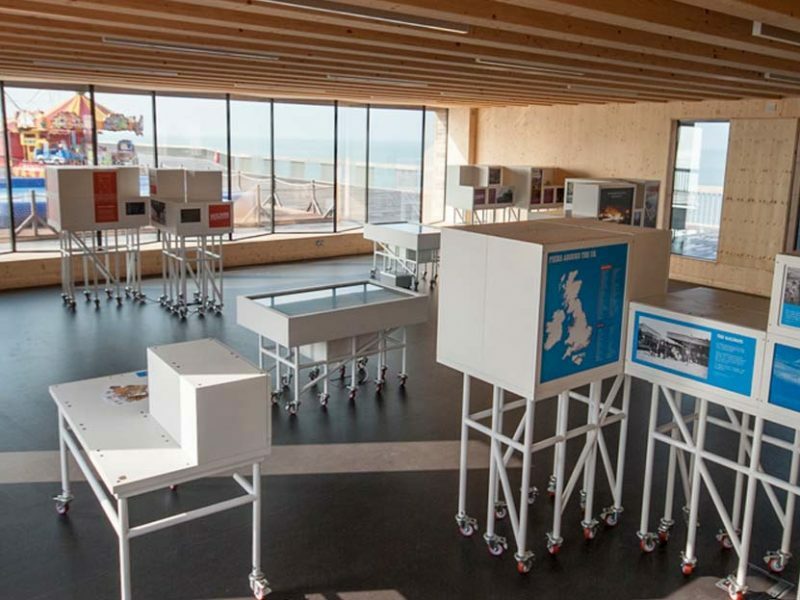 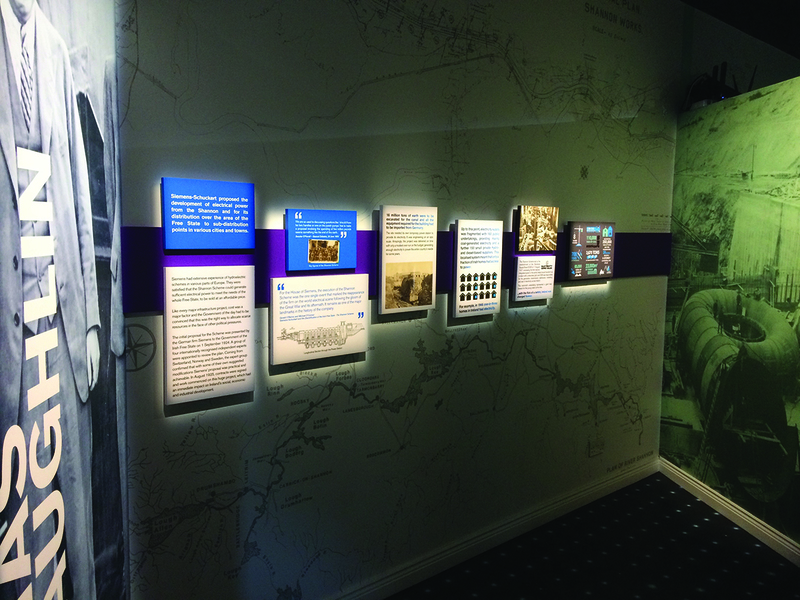 Marcon carried out the interpretive fit-out of the exhibition which consisted of the manufacture and installation of joinery setworks, interpretive graphics and audio visual hardware.